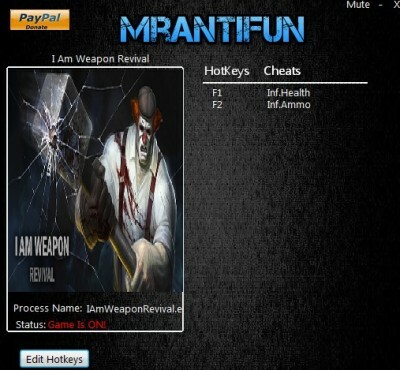 In this article you can download I am Weapon: Revival cheats. This trainer +2 has been created by MrAntiFun for game version 1.0. All cheats on our site you can download without registration, so this hack available for download free. With this trainer you will get the advantage in your game. But first, a bit of information about the game. 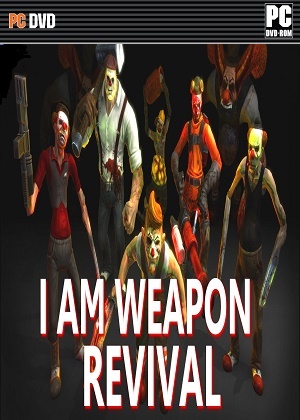 I am Weapon: Revival’ is a reboot of our first game ‘I am Weapon’ which inspired us to make ‘Guns’N’Zombies’. IaWR is an isometric twin-stick 3D shooter set in a surreal world full of the protagonist’s nightmares, where he has to break through hordes of evil clowns coming in all shapes and sizes in order to find his memories piece by piece. Some similar games are: Alien Shooter, Zombie Shooter, Hatred, and Crimsonland.